This page will guide you through the features of the Publications look up tool, and also how to enter a publication manually if necessary. To change the publication source, simply select one of the titles in the tabs across the upper part of the screen i.e. Scopus, Web of Science, ORCID etc. Each source will utilise a Unique Identifier to location a publication directly, we have included explicit instructions and explanations on the tab for each source. Once you are within the appropriate source simply begin inputting your ID’s. These can be input one at a time, or in bulk. 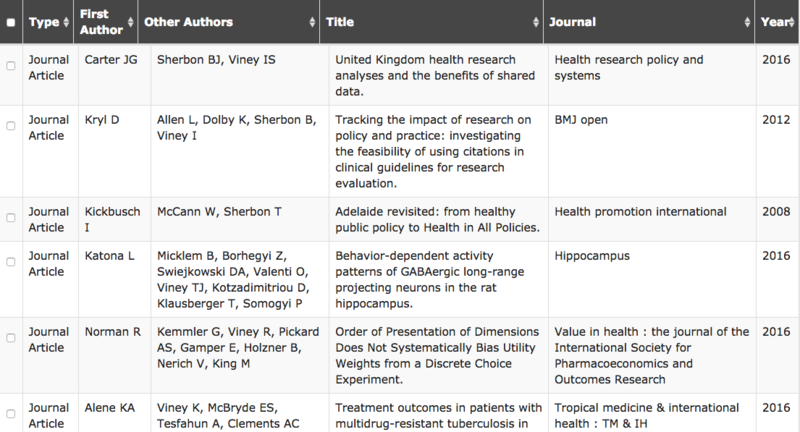 Enter the ID’s into the relevant box and then click the ‘Search of publications’ button to perform the search/look up. If you do not have the ID for your publication(s) it is also possible to perform searches against various fields within each of the sources apart from DOI and ORCID. If any special requirements or behaviours are expected of the source chosen, there will be displayed below the relevant source search. Select which of the publications you wish to add to the award using the corresponding tick box to the left of the search result, the background will change colour, highlighting the selection. Once you are happy with your selection, click on the ‘Add to Portfolio’ button to begin the process. REASON_DUPLICATE_ID - The publication ID is already input into the search field. REASON_ID_SYNTAX - The incorrect Syntax has been used. REASON_ID_MISSING - The ID is recognised, the syntax is correct – the publication cannot be found. If you encounter an error other than the ones listed above please send a screenshot of the error as well as any relevant details about its creation to support@researchfish.com.